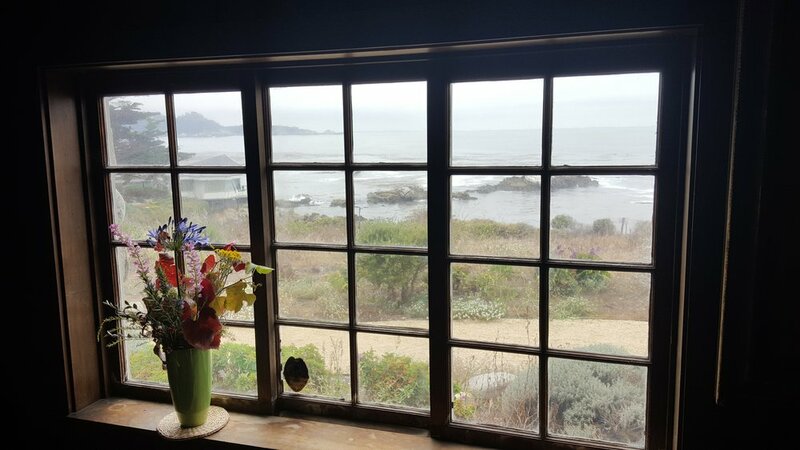 In 1914, when they first saw the unspoiled beauty of the Carmel-Big Sur coast south of California's Monterey Peninsula, Robinson Jeffers (1887-1962) and his wife, Una (1884-1950), knew they had found their "inevitable place." Over the next decade, on a windswept, barren promontory, using granite boulders gathered from the rocky shore of Carmel Bay, Jeffers built Tor House and Hawk Tower as a home and refuge for himself and his family. It was in Tor House that Jeffers wrote all of his major poetical works: the long narratives of "this coast crying out for tragedy," the shorter meditative lyrics and dramas on classical themes, culminating in 1947 with the critically acclaimed adaptation of Medea for the Broadway stage, with Dame Judith Anderson in the title role. Robinson Jeffers, a giant among American poets, planned the original cottage as a home for his wife, Una, himself and their twin sons. He sited the house on a point of land that meets the sea like the "prow and plunging cutwater" of a ship. He called his home Tor House, naming it for the craggy knoll, the "tor" on which it was built. Carmel Point, then, was a treeless headland, almost devoid of buildings. Construction began in 1918. The house was intentionally small, set low to the ground to withstand the great storms of winter. Modeled after a Tudor barn in England, it contained two attic bedrooms, a main floor guest room, the living room, a tiny kitchen and a single bathroom. The granite stones were drawn by horses from the little cove below the house. Jeffers apprenticed himself to the building contractor, thus learning the art of making "stone love stone." Construction was completed in mid-1919. Oil lamps and candles were the only means of illumination until electricity was installed in 1949. In 1920, the poet-builder began his work on Hawk Tower -- a retreat for his wife and a magic place for his sons. It was completed in less than four years, a remarkable feat since Jeffers built the tower entirely by himself! He utilized wooden planks and a block and tackle system to move the stones and to set them in place. Following the completion of Hawk Tower, he added a dining room to the original cottage. Later, after World War II, he began work on a new wing that was eventually completed by his son, Donnan. Many influential literary and cultural celebrities were guests of the Jeffers family. Among them were Sinclair Lewis, Edna St. Vincent Millay, Langston Hughes, Charles Lindbergh, George Gershwin and Charlie Chaplin. Later visitors have included William Everson, Robert Bly, Czeslow Milosz and Edward Abbey. Almost all of Jeffers' writing was done at Tor House. The genius of the man is reflected in the granite walls of this home that he built with his own hands, this place as enduring and timeless as the poet's work. Watch this fascinating video Rhapsody & Requiem - The Life of Robinson Jeffers at diva.sfsu.edu/collections/sfbatv/bundles/189961. This is a digitally remastered KPIX-TV 1967 documentary film about Robinson Jeffers provided by Alex Cherian, Film Archivist from the SF Bay Area TV Archive. The video is best viewed in full screen mode. Tor House docent Lucas Seastrom has produced an introductory film about Jeffers for poet Jimmy Santiago Baca to use at his speaking events. Many people at Tor House helped with its production. You can view it on YouTube at this link.